What’s so great about STEM? experience lower unemployment and shorter job searches. What if my son or daughter is good in everything? STEM careers open doors – employers are looking for critical thinkers, problem solvers, good communicators and team players. They know that students with STEM majors that have those skills will do well both in STEM jobs and jobs that aren’t obviously STEM such as purchasing, marketing or sales of technical products or services. Being able to speak the language of an engineer or scientist is important in all of those examples. How can I help my child with STEM? First, ask! Ask them what they learned in math or science today. Ask them what they liked about it. Ask them what they would like to learn more about. If they show a particular interest in something, seek out an opportunity for them to learn more – through an afterschool program, a science museum, a website, a book, a college campus or an event (check out our website or join our newsletter mailing list to learn about STEM programs and events). If they are struggling, get them some assistance. Your school may offer tutoring so ask your child’s teacher, counselor or principal. If not, there are several organizations in Baltimore that offer tutoring, afterschool academic programs or weekend programs. Seek them out. 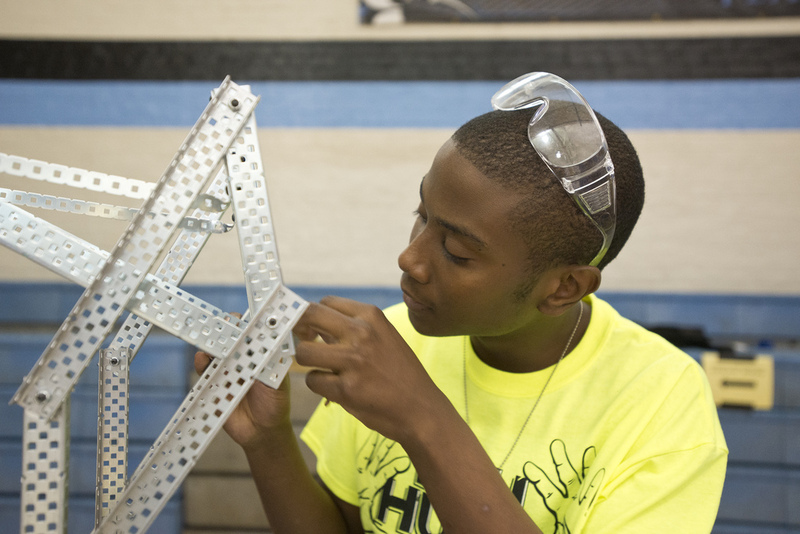 Success in STEM majors and careers require both aptitude and interest. Encourage your child to do their homework and then some. Encourage your child to study regularly, not just before a test. See that they get plenty of rest, exercise and healthy meals. The brain needs all of these things to function at its best. And good grades are more than just for bragging rights, they help colleges and scholarship organizations identify students with aptitude. STEM covers such a broad spectrum of specialized fields that there is bound to be one or more that your child loves. For example there is astronomy, oceanography, microbiology, robotics, aerospace engineering, materials science, environmental engineering, computer science, information security, and financial modeling to name just a few. Your school may not cover all of these topics, so in order for your child to find out about them, look for opportunities to introduce your child to these. See if your school district is having a STEM fair or career fair, look for Science Olympiad, Mathcounts, VEX or FIRST robotics clubs, for example. Encourage your student to take as many math and science courses as they can at as high a level as their school offers. Math builds on itself, so it is important to master each class in order to succeed at the next. And math is used in science, engineering and computer science, so be sure your student really learns it and remembers it. Should my child take the summer off? Children should play, but there is a lot of evidence for summer learning loss. This is particularly true of math. Children who participate in summer academics remember more of what they learned from the previous school year than those who do not. So, if you can find educational opportunities for your child during the summer, take advantage of them!